Thread collab/5377 hidden. Unhide thread Threads not staying hidden? Try resetting your hidden threads. 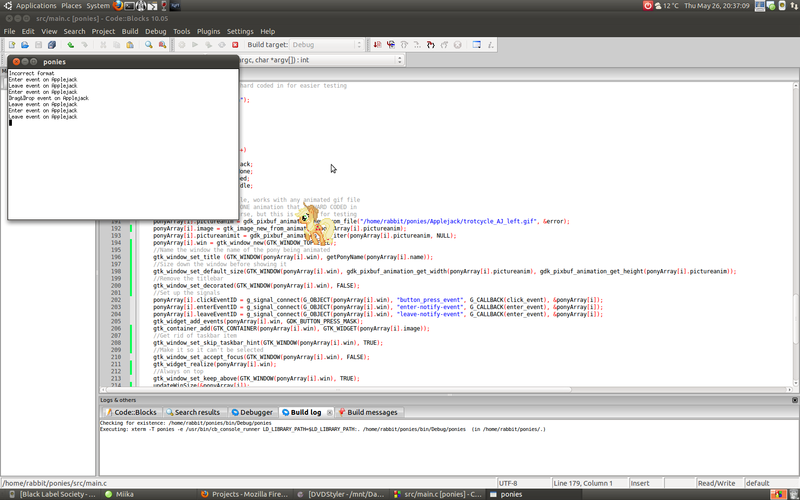 Realeasing an alpha version of the Ponies on linux project I'm working on. 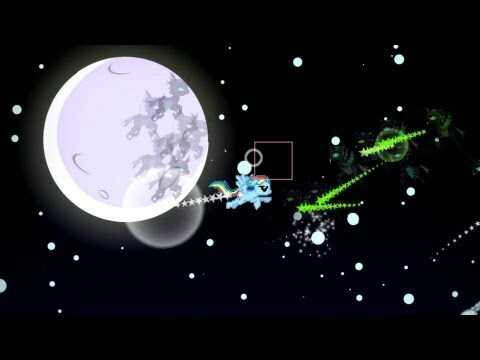 Nothing too special yet, but it is in constant development, and wanted to give us linux ponies something to get excited about. If you have absolutely no programming experience, this is probably not ready for you yet. There is a little bit of code modifying that is needed for it to compile and run. There is a large todo list at the top of the main.c file, and I hope I commented it well enough for you to figure out what is going on even if you don't know GTK+. I am also taking recommendations on what else to add(feature creep, yay!). Is it safe to assume that this is dead, or is the lack of a git/mercurial/subversion repo masking any progress? Thread collab/45235 hidden. Unhide thread Threads not staying hidden? Try resetting your hidden threads. Hi. I've had a script for a feature length movie complete since last year. This script is for a movie based around Derpy traversing dangers to rescue her daughter and getting caught up in her grandmother's secret. This is a basic outline of the plot. Anyway, the point of this post is to request some storyboarders to offer help with the storyboarding because I've had this project at a standstill for far too long. If you're interested, say so and leave me a way to contact you. There are no "account names" on imageboards. Also, your script is pretty bad, man. Some of the guys in the thread pointed the major flaws out. He ignored each and every of those comments and kept asking for free helpers instead. That wasn't him. That was just someone putting his email and name into the fields and pretented to be him. Doesn't change the fact his script is bad, though. Thread collab/44814 hidden. Unhide thread Threads not staying hidden? Try resetting your hidden threads. A fun little fan series animated and programmed in Scratch! It stars AJ and Dashie on their adventures with their pony friends! I think i could help you^^. Thread collab/45098 hidden. Unhide thread Threads not staying hidden? Try resetting your hidden threads. Howdy all! This is an opening post to let you all know about a project I've been working on over the last seven months; MLP:FiM Fight for Harmony TCG! I have been involved in a little card game creation in the past and was looking for an avenue to explore in creating one of my own from scratch. MLP gave me this avenue and I've been thoroughly enjoying myself so far. So what is Fight for Harmony? The game is (currently) a two player game designed to play at a relatively fast pace with multiple different play styles. The game revolves around reducing the health of your opponents Mane 6 card to zero before they can do the same to you. At present the game is in the late alpha stage. Many of the cards have been designed, an initial version of the rules have been created and many of the game mechanics have been finalised. However, as one might expect, there are still issues with balancing to work out and some cards are still in development. Even so the project is going well and I'm currently looking for comments, criticism and thoughts on how the game looks, problems you may see and anything else you want to throw in. The project is being run from my Tumblr page primarily although I will also be using this thread and a development thread over at the UKoE forums. So why not give it a try? I'm also working on a plugin for Lackey so that everyone can enjoy the game and will be releasing videos on this as time progresses. 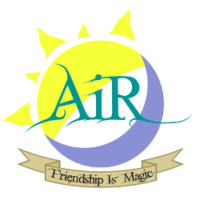 Anyway, more information about the game along with an initial alpha download version of the cards and rulebook can be found on my Tumblr and UKoE thread, I'll link both below. Hope everypony enjoys! Thanks! The project is slowly approaching Beta now. The new card designs have been finalised and will be slowly released over the coming weeks/months depending on how fast things go. You can check my Tumblr for card updates as and when I get them up. This week is Mane 6 week so I'm updating daily. A lot of progress is being made on the beta release of the game now. Various sneak peeks at forthcoming cards are up for viewing on my Tumblr page (see first post). Thread collab/45152 hidden. Unhide thread Threads not staying hidden? Try resetting your hidden threads. I am working a pony horror adventure game titled The Underworld's Cello. It stars Octavia and is set in a haunted house, where she must find Vinyl before the wrathful denizens of the house her first. Please see the embedded video for details. You made me curious about the project. Please give me some technical details about the game. Thread collab/45203 hidden. Unhide thread Threads not staying hidden? Try resetting your hidden threads. I am The Quizzical Brony. Basically what I do is take topics from comments and put out my opinions with facts to back them up. If anyone could check it out, post a topic, subscribe, or give me feedback, that would be great. Thread collab/45161 hidden. Unhide thread Threads not staying hidden? Try resetting your hidden threads. After spending nearly two years in development, it is my pleasure to announce open auditions for My Little Musical! My Little Musical is an original two-act audio production, planned for release as a digital concept album. Now that the music and book are approaching completion, we are in need of voice actors, singers, musicians, and sound editors and mixers to help make this project come to life! FOR ALL VOICE ACTING AUDITION INFORMATION, PLEASE READ THE ATTACHED DOCUMENT. THANK YOU! The following post will have the document for musicians and sound designers. This is the attached document for musicians and sound designers! If you have any questions about either document or the project itself, feel free to ask so in this thread. Hope you consider joining us on this journey! Bump! Auditions close on June 30th! Thread collab/45195 hidden. Unhide thread Threads not staying hidden? Try resetting your hidden threads. Os: win xp, vista, win 7. 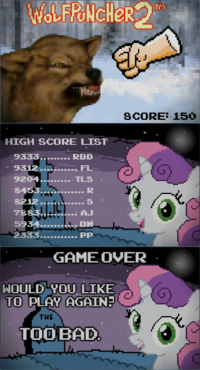 About: new full version of WolfPuncher2 is now available, will you be able to beat Rainbow Dash score? Thread collab/45180 hidden. Unhide thread Threads not staying hidden? Try resetting your hidden threads. Hi there guys! I want to share with y'all a game project I'm working on. Check out the embed video, and the following link if you want to read further! Thread collab/45112 hidden. Unhide thread Threads not staying hidden? Try resetting your hidden threads. 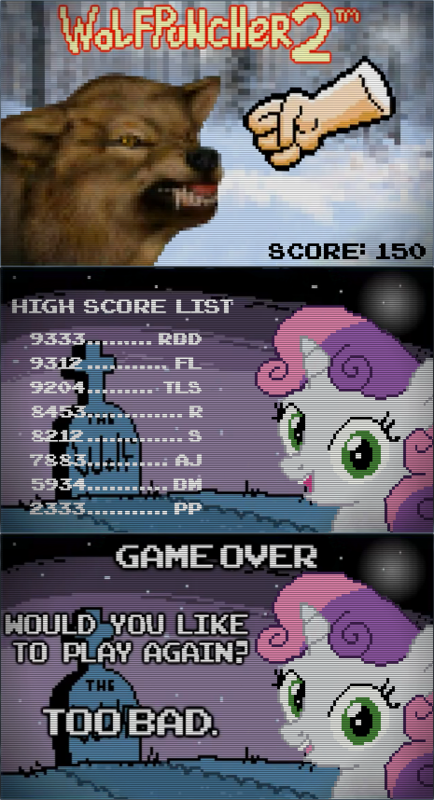 So Ponychan, I am creating a fighting game, it will contain a few pony characters, but will not solely be a pony game. Get some cash and get age30 voice actors, they're better than a teenager. Try posting some more details. 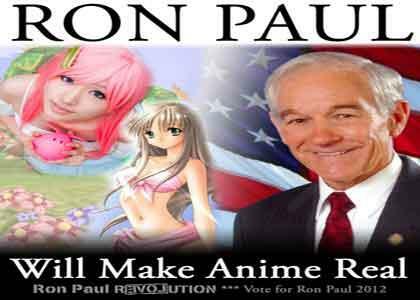 And please, use a related picture. This doesn't look serious. Show some proof that you know what you are doing. Thread collab/28393 hidden. Unhide thread Threads not staying hidden? Try resetting your hidden threads. I think I just had a good idea, bear with me. What would everypony think about making a dating site to help "bronies" find "pega-sisters" (I still hate that term.) Anyways, who else thinks it would be a good idea to make a free dating site for MLP fans? Also who is capapble? The idea sounds great, but think about it. 99% of the fans of the show are men, and I've never once met a pegasister who might just as easily be confused for a male. Face it, all nerd fandoms are largely the basement dweller archetype. The attractive people are a very small portion, almost as small as the % of cloppers. Thread collab/45057 hidden. Unhide thread Threads not staying hidden? Try resetting your hidden threads. Hello everybody, I'm here to let you know about this fan project my friends and I have been working on. 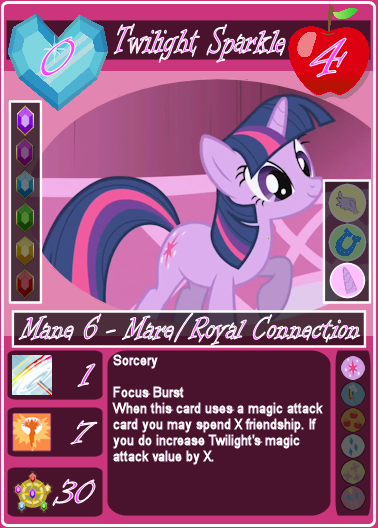 It's a MLPFiM inspired trading card game, and we've been working very hard to create a plugin for LackeyCCG to make it playable online. Right now we're in a public beta, but we are far from finished. Cards and decks have been tested in closed environments, but we would really want feedback and criticism on how to make it better or how to fix any problems we have overlooked. We're also in need of pony artist to help us create original art for all of our cards. Could you give us a little bit of insight of what type of TCG it is? Maybe some of the mechanics and whatnot so we know the basics before we look at the cards? A bit unrelated: You might want to work on the wording a bit. I took a look at a few and it seems so unnatural at some places. 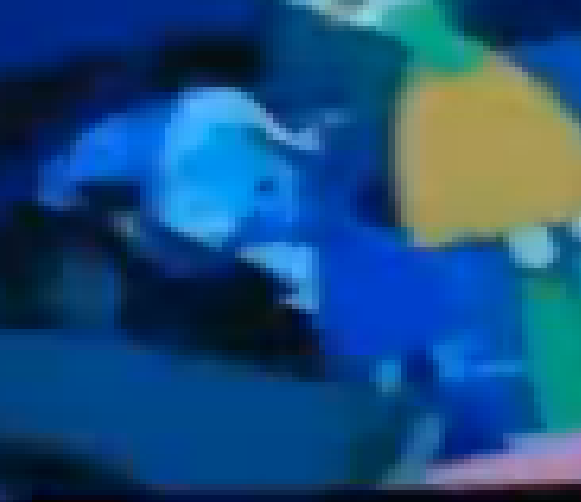 Look at Blaze for example. The text "unless its leader -3 elements" just seems...off. I assume 'leader' is the player. Perhaps a better wording would be "Unless its leader pays/expends/whatever 3 elements." or something along those lines. Then again, I just skimmed over the rulebook, so If I am wrong just ignore. I'm also pretty confused on how a player is supposed to win. It takes harmony, but how much? The rules say it takes 30 Harmony Points to win. However, many of the rules seems rather difficult to read, and it's utterly confusing trying to figure them out. I fully agree on that. Why is the amount of 'harmony' needed listed ONLY in the terms page anyway? It's just set up horribly. Thread collab/45090 hidden. Unhide thread Threads not staying hidden? Try resetting your hidden threads. Hey there, for a little while I worked on this HTML5 engine for a RPG, right now you can walk around, choose your character from one of the Mane 6 and see other people walk around. Well, that's better than nothing, but someday I would like to see this as a full-blown 8-bit-ish MMORPG, that would be nice. 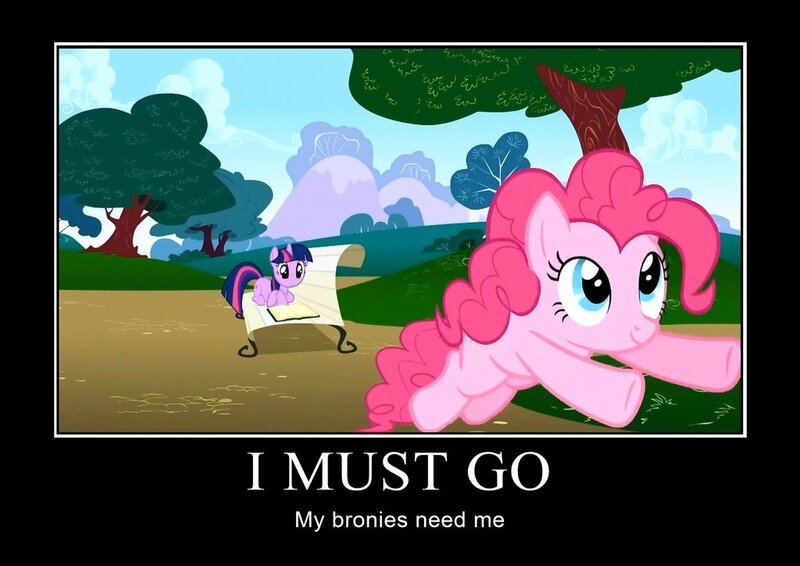 Of course, I'll need help, if somepony here is a talented artist or musician, please email me. Or if you have more good ideas, please comment or email me and I'll consider it. Thread collab/36382 hidden. Unhide thread Threads not staying hidden? Try resetting your hidden threads. Video Editors: people who will sync up the new audio to the video once it's done. THE DEADLINE TO SIGN UP FOR ANY OF THESE PARTS (assuming somepony actually does) IS MAY 1, 2012. I can answer any more questions if you wish. Perhaps, but there may be a good narrator voice, which doesn't suit Celestia's character. So for now, we're keeping them as separate characters. Many of the cast went off to pursue other interests, sadly, myself included. Some of us still contat each other but this didn't end up picking up. Thread collab/45050 hidden. Unhide thread Threads not staying hidden? Try resetting your hidden threads. I just finish the first episode of my radio drama hope guys like it based on the rise of nightmare moon and has Luna, I know how much we all love her. But yeah here it is we also try to get a new episode out every month to month and half. So enjoy! Where is here? What is the title? What is the story description? Is this a one guy production or did you find other people to help?